The Mexican Riviera was once one of the most popular cruise destinations, but this declined for some time in the recent past. However, the region has regained its former glory, and proof of this is the fact that it has once again become one of the most popular cruise destinations in the world. If you are planning on a holiday, you should consider going for a cruise to Mexico since this is something that you are unlikely to regret. This is a city that is located in the Baja California peninsula. 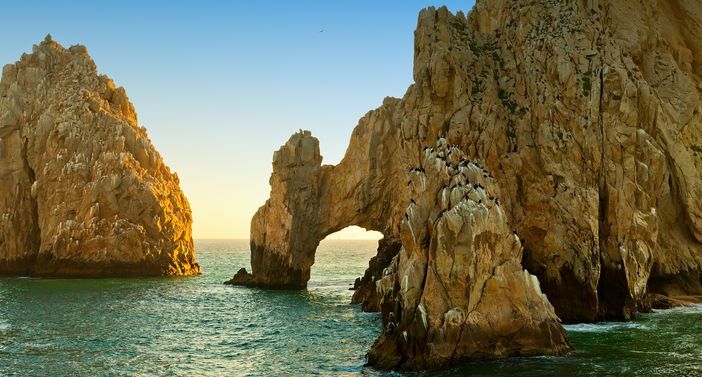 It is popularly known as Cabo, and is one of the most popular tourist destinations in Mexico. Some of the activities to do in Cabo San Lucas include scuba diving, indulging in the marine life and visiting the Balnearios. There are many holiday accommodation facilities for tourists available. This is a city in the State of Sinaloa. It happens to be the second largest city state in the country, and is also one of the most popular tourist destinations as well. Some of the best things to do in Mazatlan include the pristine beaches as well as the presence of numerous high quality hotels that you can stay in. It also gives one the opportunity to indulge in Mexican culture. As far as beach destinations are concerned, there are few that are as attractive as Puerto Vallarta. It has been named as the friendliest city in the world, and this is something you can easily get a sense of when you visit. It is one of the most popular tourist destination spots for both local and international tourists because of the many fun things to do in Puerto Vallarta. Acapulco city has been a port since Mexico’s colonial period. It also happens to be the largest beach in Mexico as well. It is also the oldest coastal destination for tourists, and is one of the most popular spots for the rich and famous to visit. It also has the reputation of being a high energy city, and there is always a tourist attraction you can participate in at any time of day. This is a beach resort that was built specifically for the purpose of promoting tourism. For this reason, it has all the amenities and attractions that one would be interested in. If you are planning a cruise to the Mexican Riviera, visiting it would prove to be hugely exciting. This city is the third largest in the Baja California Peninsula. The fact that it’s locally referred to as the Cinderella of the Pacific alludes to the beauty of the city, which is one of the reasons why it’s one of the most popular ports of call and tourist destinations in the region. Generally, there is a lot to see and do on a Mexican Riviera cruise departing from Los Angeles. Remember, unlike other destinations that are seasonal, Mexican Riviera is a year-round destination.